We are the group of amateur and semiproffesional entomologists with interest for insects since our early childhood. 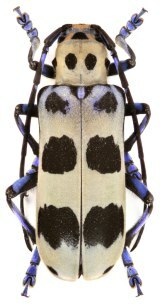 In our website we will offer insects from Oriental and Pacific Regions. In near future we will add also species from African, Palearctical and Neotropical Regions. All species, we offer, will be accompanied by high quality photographs. Special attention will be always put on high quality packing, mostly made by our experienced Asian workers. All our insects are accompanied with complete collecting data, often including altitude, latitude and longitude. Except of flightless species, all Hymenoptera, Diptera, Odonata, Mantidae, Phasmidae and Fulgoridae are spread as well as large part of Heteroptera and Orthoptera. Web site will be daily updated and we will do whatever is nacessary to make your purchase a pleasent experience.